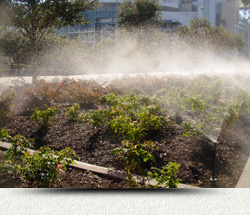 Our professional staff have installed and maintained hundreds of commercial irrigation systems. We have specially trained staff who design, install and maintain to make sure your property is adequately watered, without waste or leaks, to protect your investment and deliver peace of mind. We will install beautiful landscapes to make your commercial property stand out. We start with a plan, choose native materials, and make sure all soil is adequately prepared. We ensure the finished project will have proper drainage and lasting durability. We also install structural and architectural elements such as retaining walls, fences, arbors and walkways. Our construction team will provide updates and timelines throughout the process so everyone involved sees the positive progress. We adhere to strict guidelines and safety measures to make sure the completed project is successful and on time. Landscape Maintenance is crucial to protecting your commercial property investment. 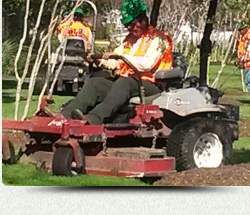 We take care of all the work so your gardens stay thriving and grass lush. Our full maintenance plan includes fertilization, seasonal color change-outs, tree pruning, regular mowing, weeding, mulching, and detailed trimming of shrubs and ground cover. 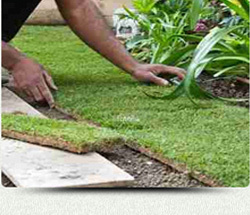 We also develop a plan that suits your business’ specific needs to maintain a manicured look year-round.